There previously was a misunderstanding on the dates that Scott and Tammy from the UPS Store were to speak at our group. They are lined up for this Tuesday meeting for sure. If you are having tenants mail their rent to your personal house: Let me tell you… you are nuts! Landlords are killed all the time. Several landlords have been killed right here in Roanoke. And when a landlord is killed it almost always has to do with an eviction. So be smart and let your home be your safe place that you don’t have to worry about stray bullets flying past your couch as you watch TV. Or some punk throwing their shirt off and yelling at you in the front yard that they want you to come out there and give them a beating. This week our guest speakers will be Scott and Tammy from the Electric Rd UPS Store. These guys are entrepreneurs in the truest form. I’ve been using them for almost 2 years now to collect my rent for me and it’s turned out to be a great service that I wouldn’t do without. I don’t waste my time or endanger my life by physically running down tenants to collect my rent anymore. I’m in control of my business these days. I don’t let tenants control it. 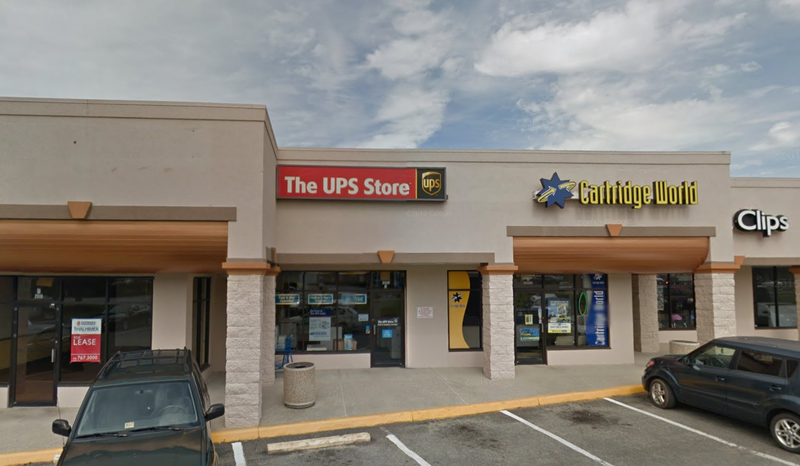 Several of my tenants want to have a place to physically hand their rent so with the UPS Store they have the option to either mail it to me there, or physically hand it to them at the store. Try doing that at the post office. As crazy as it sounds, if you get a P.O. Box, and your tenant brings their rent payment to the post office, they will still mail it to Greensboro; even if they are standing no more than 5 feet from your box. It’s hard to do business with idiots like that. Scott also offers all kinds of other services or "custom services” that are specially designed to help your very specific business need. At this meeting we will also talk with Scott about developing some fill in the blank software for REI of Virginia that will help members put together highly professional quotes for the bank that will automatically calculate the numbers that they like to see in making a loan decision. We will also talk about their help with your business cards and creation of brochures. This is going to be a fun meeting that will include lots of out of the box thinking regarding what types of services investors in our area need. Come on out to keep your eye on the prize in 2017. Your regular attendance to REI meetings will help you grow your company and reach your financial goals. I promise you it will. I personally attribute my continual focus on investing as being the reason that I have been able to obtain a large highly lucrative portfolio over a relatively short period of time. To do this successfully, you have to associate yourself with like minded people. Step back and have a look at the woods once a week rather than dealing with the day to day BS. That dedicated focus on real estate industry education will force you to fulfill your goals and objectives. 2017 is going to be YOUR big year. That is ONLY if you make it YOUR big year. We still have years to come of low prices so it’s still a buyers market here in our area. The city has not and is not likely going to do anything to increase property values as they don’t recognize there is a problem. Get them while the getting is good. Come on out to our meetings and have some fun while you’re working on your first few million in equity. Be there… or be square!! !